It is always best to try and save a tooth where possible, however, if root canal treatment (RTC) is unlikely to rescue a severely infected tooth, an extraction and a dental implant may be the better option. 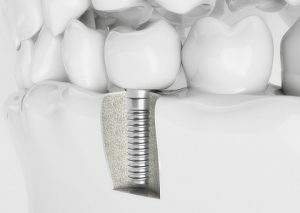 – RCT is cheaper, less painful and has fewer complications than an extraction and dental implant. – However, RCT is only worthwhile if X-rays indicate the tooth can be successfully restored. – Your dentist will be happy to discuss your options.